Airtel 4G LTE network service finally went live in Lagos, today Saturday, 2017. This is according to a press release made available to us by the company. With this announcement, Airtel Nigeria joins her counterparts – Glo, Etisalat and MTN to bring 4G service to Nigerians. Airtel Networks Limited rolled out the much-anticipated 4G (fourth generation of wireless mobile telecommunications technology) in Nigeria in a strategic partnership with ZTE, Chinese multinational telecommunications equipment/systems Company and world leader in mobile Internet hardware and solutions. In December 2012, Airtel became the first telecoms operator in the country to complete a successful 4G trial in Lagos, the commercial nerve center of Nigeria, in line with its commitment to pioneer innovation and lead a mobile Internet revolution in Nigeria. 4G LTE is a truly global mobile phone standard for advanced mobile broadband. Airtel’s 4G LTE will aim to offer users faster, more reliable mobile broadband internet for devices like smartphones, tablets, and laptops. A lot of mobile devices now feature LTE like the TECNO Camon CX Air, New BlackBerry KEYone, Infinix Note 3 Pro, and much more. You can confirm if yours is compatible here. 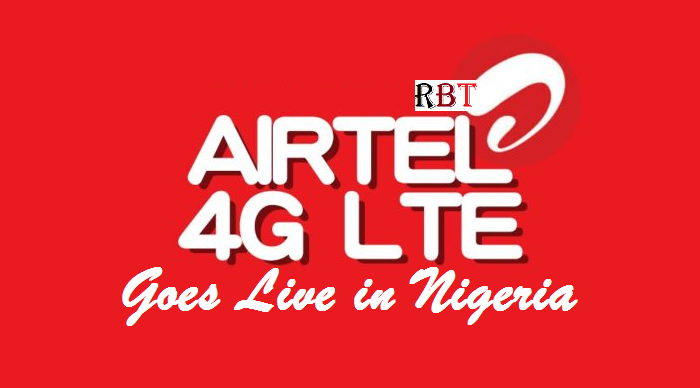 Ordinarily, a SIM card that supported 3G will effectively support Airtel 4G LTE in Nigeria. But sometimes, the telecommunication providers feel a need to refresh, therefore, new SIM cards are re-issued to customers for 4G LTE. In Nigeria, Glo subscribers will get new SIM cards, Etisalat is rolling out on existing SIM cards so no new SIM cards will be needed. MTN Nigeria is also issuing new SIM cards to their subscribers. This is an exciting news for Airtel subscribers as we look forward to having more details on what Airtel 4G LTE data plans will be like. What do you think?